Do you dream of having long luscious locks yet struggle to even grow your hair an inch longer than it already is? Do you deal with frustrating split ends and breakage? What about the feeling that your hair will only grow to a certain length (one that is way shorter than you wish)? What many people don’t realize is hair growth has a lot to do with diet. Here is our list of the top 11 vitamins for hair growth and healthy tresses. Most of us are aware that vitamin C can help boost our immunity, protecting us against frequent colds and other diseases. What many people don’t realize, though, is vitamin C can help strengthen hair and help it grow. That’s partly because vitamin C helps the body produce collagen, a vital protein for healthy hair, skin, and nails. Additionally, vitamin C is considered an antioxidant that fights free radicals that damage body tissue and prevent hair from growing as long as it could. Free radicals have been known to damage hair, making it weak and brittle. If you notice your hair breaking a lot or shedding, it may be due to a lack of vitamin C.
While you can simply take a vitamin C supplement, it’s easy to load up on nutrients from whole foods. Some foods that are high in vitamin C include oranges, broccoli, kale, Brussels sprouts, papayas, strawberries, kiwi, and red bell peppers. Along with consuming nutritious foods, there are a number of great hair care products that are infused with vitamin C to help you grow your locks. 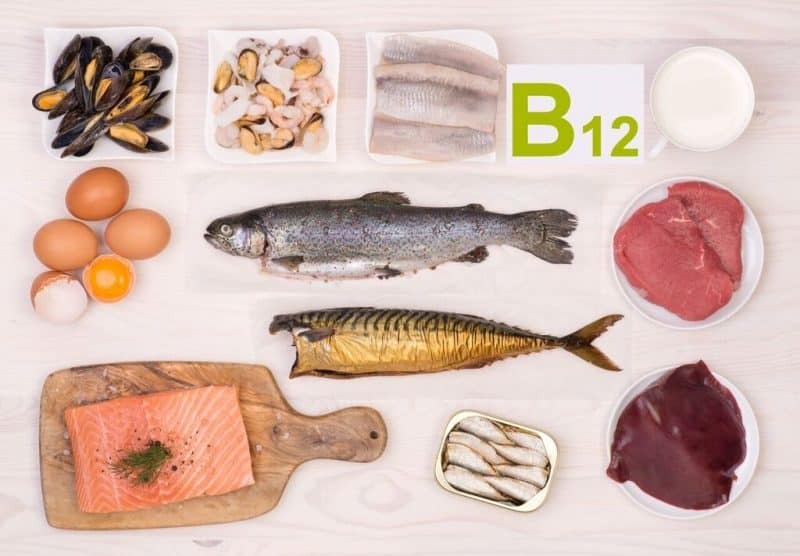 Biotin is among the most important B vitamin for hair health (we’ll talk about this more in the next section), but for best results try to include all of the B vitamins in your daily diet. Again, the best way to load up on B vitamins is through the foods you eat. Some sources include meats, eggs, nuts, grains, and vegetables. If your diet is lacking in B vitamins, though, you can take a daily supplement. Additionally, some hair care products contain B vitamins for extra support. If you want longer, healthier hair then don’t forget about biotin. This is quickly becoming one of the most widely used supplements for faster hair growth. While biotin is a B vitamin, it plays such a key role in keeping hair healthy that it earned its own spot on this list. This vitamin helps convert carbohdyartes into glucose and activates aminoc acid metabolism in the fingernails and hair root cells. Since hair itself contains keratin, which is a form of protein, this supports healthy locks. While most people get enough biotin from the foods they eat each day, it is a water soluble vitamin. Again, that means your body can’t retain it and flushes what it doesn’t use. So you need to get enough of it each day or you’ll run short. 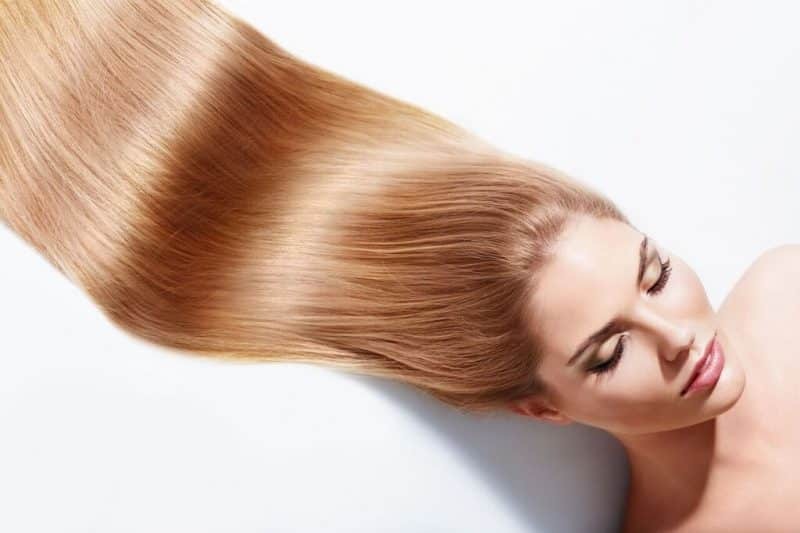 Many hair care products now contain biotin, but ingesting the vitamin is the best way to grow hair from the inside out. Rather, a combination of both an internal and external supply seems to work best. Niacin is another vitamin that’s in the B family but deserves its own recognition. This vitamin helps to nourish the scalp, promoting healthy hair growth. Without adequate amounts of niacin, your hair stands the chance of becoming brittle, lifeless, and may even fall out. Foods that contain niacin include turkey, chicken breast, tuna, mushrooms, and avocado (just to name a few). 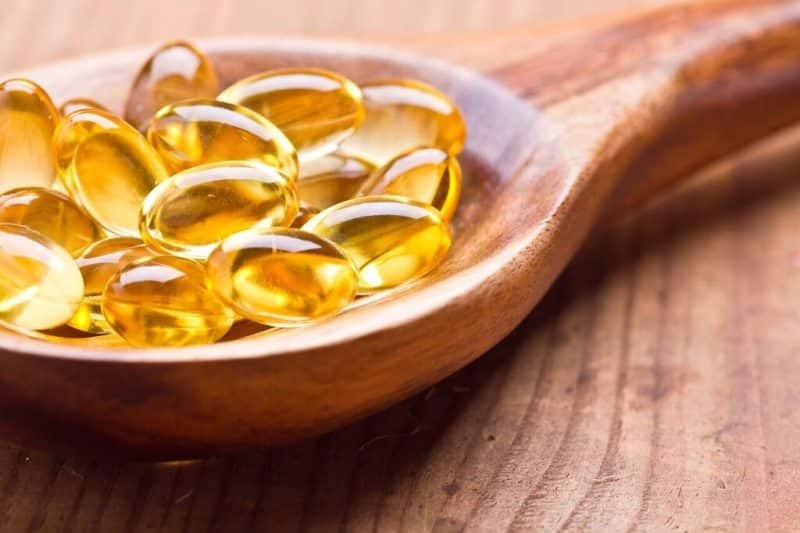 While vitamin E is one of the most overlooked vitamins, it’s an antioxidant that repairs and builds tissue, which is essential for healthy hair growth. Along with eating vitamin E-rich foods (such as almonds, seeds, avocado, and broccoli), people are raving about the benefits they reap from its topical use. When you apply vitamin E to your scalp, it helps reduce inflammation, add shine, balance oil production, and nourish damaged hair follicles. We recommend massaging vitamin E oil into the hair and scalp at least twice a week to promote hair growth in addition to eating more foods that are high in vitamin C.
Open two vitamin E capsules and mix with coconut oil. Massage the mixture into your scalp using your fingertips in circular motions. Leave for at least 20 minutes (the longer the oil sits on your head, the better the results). Vitamin A is another vitamin that’s necessary for proper cell growth. Also, it helps to protect hair follicles due to its antioxidant and anti-inflammatory effects in the body, which prevents hair from drying out and breaking. Foods rich in vitamin A include carrots, melons, and dark leafy greens. Some symptoms of vitamin A deficiency include vision and skin problems. It’s important to note that it is possible to get too much vitamin A, which is going to be counterproductive to your hair growth efforts. Nearly 85 percent of Americans aren’t getting enough of this important “sunshine” vitamin that promotes healthy follicle growth. One way to boost vitamin D levels is to spend some time outside in the sun. You don’t need that much in order to keep your body synthesizing its own vitamin D — just around 15-20 minutes every day. While this isn’t difficult during the warm summer months, you may not be able to soak up enough sun during the winter. That’s where supplements and food come into play. 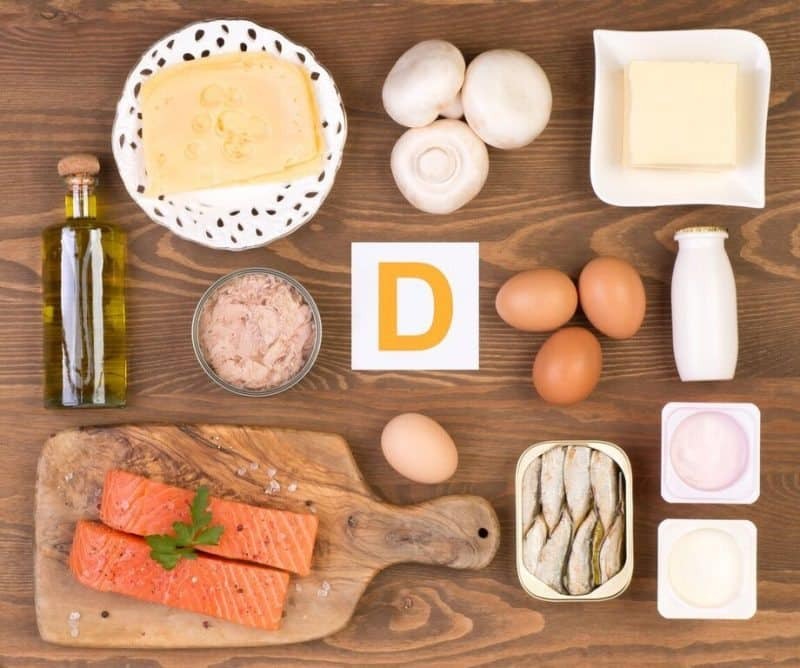 Some vitamin D-rich foods include fatty fish (like salmon and tuna), eggs, mushrooms, and milk. While not a vitamin, iron is an important mineral that your body needs in order to function properly. One way iron benefits the body is by strengthening hair and promoting growth. Without iron, doctors say your hair can become dull, thin, and dry. To find out if you are lacking in iron you can go for a simple blood test. Foods that are rich in iron include red meat, oysters, and spinach. Another mineral that your body needs to function properly is magnesium. Eating a diet filled with magnesium-rich foods such as salmon, nuts, and seeds, is one way to make sure you’re giving your scalp what it needs to grow strong and healthy hair. 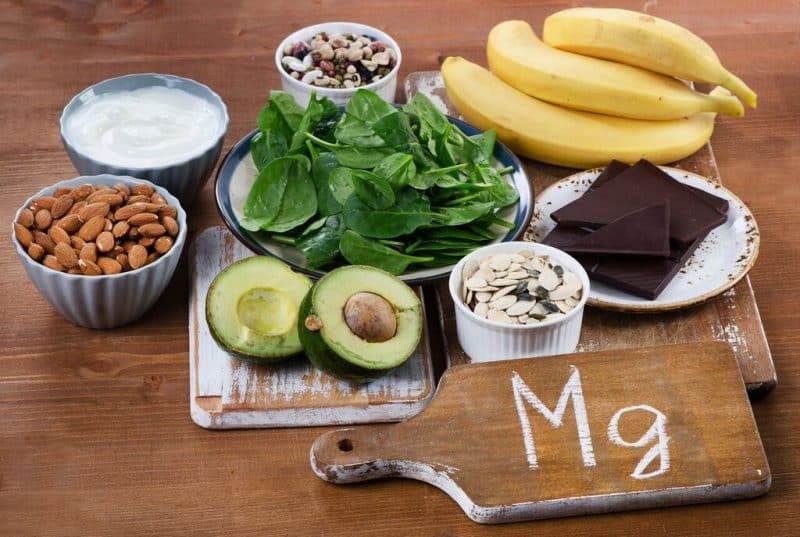 Unfortunately, many Americans don’t get enough magnesium. A lack of magnesium has been linked to heart attacks, type 2 diabetes, constipation, anxiety, depression, and chronic fatigue. While protein may not be a vitamin, it’s still essential for healthy hair. That’s because hair is mostly made of protein. If you don’t consume enough, your body won’t be able to feed your hair follicles, making hair dry and brittle. While many hair care products contain ingredients that are centered around protein, it’s always a good idea to eat enough of it in your diet too. Vegans and vegetarians need not fret as there are plenty of plant-based sources of protein, like quinoa, spinach, broccoli, and more. Protein helps the hair grow strong and also helps the speed at which it grows. If you’ve noticed sluggish growth, first check your protein intake. They say to cover your vitamins from A to Zinc and that is certainly a smart choice if you’re looking for healthy hair growth. 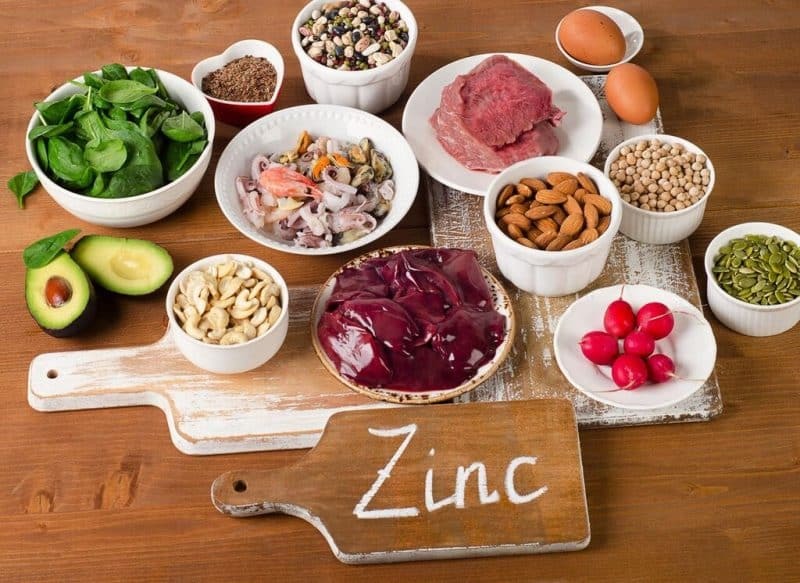 A zinc deficiency can weaken your immune system, lead to poor digestive health, throw your hormones out of wack, and play a part in lackluster hair growth. The good news is that it’s not too hard to keep up with your zinc requirements. Some foods that are rich in zinc include pumpkin seeds, chickpeas, mushrooms, garlic, spinach, and yogurt. Here is a hair growth supplement that not only contains the important ingredients we’ve covered above, but is also loaded with other nutrients that benefit hair. Unlike some companies that make a wide variety of health and beauty products, Toji is focused solely on helping people grow healthy hair. The price on this supplement may be a little high for a hair product, but with the feedback it’s getting it may be worth it (especially if you are currently experiencing dull, lifeless hair that has trouble growing). A one-month supply would give you enough time to evaluate whether this is a good supplement for you. Uses 36 different ingredients to help hair grow, such as biotin, MSM and horsetail extract as well as DHT blockers to prevent hair loss. Is based on all-natural ingredients (ones that are proven to grow hair). Statistically significant data suggests it works. Quality standards during the manufacturing process. If you haven’t been nourishing your hair and need some help repairing your locks ASAP, then this could be your go-to supplement. It doesn’t use any drugs. 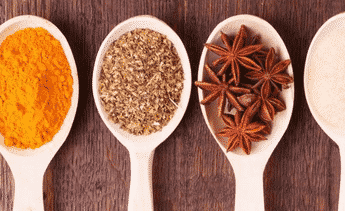 Rather, it contains the vitamins we’ve talked about in this article, as well as marine sources of nutrients in a proprietary blend. This supplement has garnered a lot of positive feedback from its users. With hair growth products, you want to find one that is making the majority of users happy and that’s what we’re seeing here. Also, the price is pretty reasonable for a one-month supply. Drug-free with few (if any) side effects reported. Combats common hair loss problems like stress and a poor diet. Specifically designed for those with thinning hair problems. User feedback is mostly positive. If you don’t think you’re eating and absorbing enough vitamins/minerals from your regular diet, then this supplement can help. You can take this as a daily dietary supplement,or whenever you feel like you’re running low on vitamins. For best results, we recommend daily consumption to help build-up the vitamins and minerals you might be low on. Unlike other hair supplements out there, this one is value-priced and comes from a trusted source so you’re getting the vitamins and minerals your hair needs without having to break the bank. Contains vitamins hair needs daily. This is formulated for normal to dry hair. You can use it when your hair needs a boost. Do vitamins for hair really help it grow? Compared to not getting adequate supplies of vitamins, it most definitely makes a difference in the health of your hair, and thus, it can be said that vitamins for hair really do help with hair growth. Of course, if you have a hereditary problem or a medical condition that is limiting your hair growth, they may not have an effect. If that’s the case you should seek additional treatment options. Can I take prenatal vitamins for hair growth? One noticeable side effect of prenatal vitamins is improved hair growth since the body is getting increased amounts of many of the vitamins that encourage hair growth. However, there are hair growth vitamins that you can buy that are specifically designed to grow hair and will have a vitamin profile geared directly towards hair growth and not geared toward providing proper nutrition for pregnancy. Can vitamins help regrow hair? If you have male pattern baldness then taking vitamins may only help the hair grow in places that aren’t affected. If you’ve been experiencing hair loss related to stress or other factors, you may notice an improvement when you start loading up on all of the vitamins that hair needs to grow properly. Lifestyle changes may also help since you can mitigate stress with daily exercise or help to improve whatever situation is causing the hair loss. 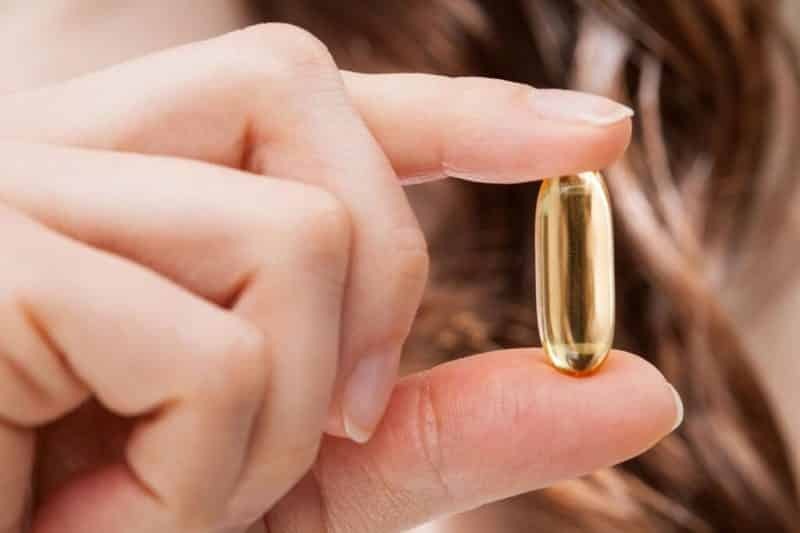 Do multivitamins make hair grow faster? Taking a multivitamin is one way to cover your nutritional gaps as long as you’re using a whole food supplement. That means the vitamin is made from whole foods and not a synthetic source. If you really want to give your hair the best chance to grow you should go with a supplement that is geared toward hair growth. We’ve talked about three supplements just a minute ago. Do vitamins change hair color? There are many products out there that claim they can get your hair back to its original color using a combination of vitamins and minerals. It’s the B vitamins that rank highly in this regard, so if you’re considering a supplement to get your hair color back, make sure it covers the family of B Vitamins, including Biotin. Should I buy organic vitamins for hair growth? If available you should always opt for organic products, especially when you’ll be ingesting them. Buying organic vitamins also means that you’ll be getting them from whole food sources so your body will be better able to absorb them. Are there any side effects of vitamins for hair? You don’t need to take excessive amounts of vitamins in order to have optimal hair growth. In fact, it can be detrimental to your goal if you overload the body with certain vitamins and minerals. Always make sure you’re getting just enough and not running a deficit, rather than trying to run a surplus. Getting more than you need does not provide better results. Which essential nutrients for growth of hair??? How long did it take for your hair to grow back and where do you get the product at . Hi Marcus, I am using Capigro, through which my hair fall reduced and i observed some new hair growing on my scalp. Try it, it’s the best one in preventing hair loss. Hi marcus, My Father using provillus and he it’s really workin. Maybe not all man will get the same result, but they give a free offer. Just take a look for that product. Hi Nicole. So sorry to hear about your bad relationship but glad to hear that it’s a thing of the past. I’ve been taking 5,000 mcg of biotin 2x a day as well as horsetail and have had consistent growth over the past months. Some important things to take into consideration are that your body has gone through a traumatic experience so it’s going to take time for your system to get to a more normal state – so be patient with the nutrients. Drink plenty of water! If you’re using any kind of heat on your hair – flat irons, curlers, etc. , stop using them because the heat is further killing your hair. I’ve even given up hair dryers and try to let me hair air dry as much as possible. Another thing to try is after shampooing with a gentle shampoo, rinse your hair with diluted apple-cider vinegar and then use a good deep conditioner and a leave-in conditioner. If you wash your hair more than once a week, definitely use a gentle shampoo. Go easy on the extensions because they’re putting even more stress on your hair. One last thing – go for all natural hair care products as much as possible! Hello, I read many articles on Black Jamaican Castor oil. It’s helped many to promote hair growth in areas where they’ve struggled to accomplish it. Some used it on their edges, some on bald spots, and others on eyebrows & eyelashes and overall, it’s proved to be effective! You should research it and possibly check it out. Take Care. I have been using capigro for about a month now and I can see a tremendous difference from before. What it did for me was that it made my hair thicker and stronger. I love that my hair looks healthy too, I feel that my hair has more volume and actually feels healthy which is really important to me. Good read! I always knew certain vitamin deficiencies could cause your hair to grow slowly, lose luster, and be brittle, but I had no idea that there were so many! What about Horsetail herb? I’ve heard a lot of good stuff about it as far as your hair goes. Do I combine all the vitamins listed and swallow all of it at once as pills? I’ve been doing everything to grow out my hair after a disaster last year which lead me to the big chop. I started using nuhairrx serum less than 2 months ago and I and seeing insane results. I’ve already grown more than an inch in 2 months when I normally grow way less. My hair is also thicker and experiencing less shed! Definitely repurchasing soon! Curious as to why you rank several brands of hair vitamins that don’t contain much of what you wrote was “essential” Hair Formula 37 contains all of what you wrote about why not list it? I’m 17 years old. Continue fall Of hairs. A small U shape hair has become from top of the head. Plz tell me hair falling solution ..I am very confused about hair problem …daily 7&8 hair fall down….. While all the vitamins from natural foods and supplements can help with healthy hair growth, you failed to mention the key role played by lifestyle choices. If you constantly abuse your body with alcohol, smoking and eating too much, even the best hair growth supplement would find it very difficult to help your hair grow. When you combine the supplements mentioned in here, with healthy lifestyle choices, your hair growth might even surpass what you might have expected. Use kesha kanti a pantanjali product….no chemicals sure bald stops………..
kindly give me some tips. Hi,I am 24 yrs old. I have been facing hair fall problem since from 6 months also my scalp has become too sensitive, I couldn’t even take bath with hot water. Please suggest me the vitamin supplements as well some good scalp lotions. There’s a natural herbal treatment I discovered in Africa, this summer, I can provide you with the contact info of the producer. I worked perfectly for me after 22 years of trying different alternatives, after eight months my balding spot is now springing hair everywhere. firstly, i want to say thank for your good information that you provided above about essential vitamin for hair growth, I want to ask about Folic acid, whether is good for hair growth or not? Yes, the supplement I take contains it. Here’s info on Folic Acid. Folic acid also known as Folate or Vitamin B9; it is a natural water-soluble vitamin that is very vital for the human body to work appropriately. Folate is a natural store of compound nutrients like PABA, pteridine, and glutamic acid. Deficiency of folic acid might lead to a host of health problems, including the outbreak of unmanageable hair loss. Regular consumption of folate or folic acid helps the hair, skin, and nail tissue to grow smoothly and the cells to function properly, as Folic acid has proven effects on cell generation. Hence, it is a natural stimulator for natural hair growth in both men and women, and a recent study has established that Folate is effective in treating alopecia and with regular consumption it has been found miraculously effective in preventing male pattern baldness. For such usefulness, folic acid compound medicines are often prescribed to expecting mothers, as folic acid has natural capability of preventing birth and neural defects. Folic Acid can be found in several natural foods and green vegetables, one can easily get hold of this essential B vitamin when looking for natural solutions for hair loss. 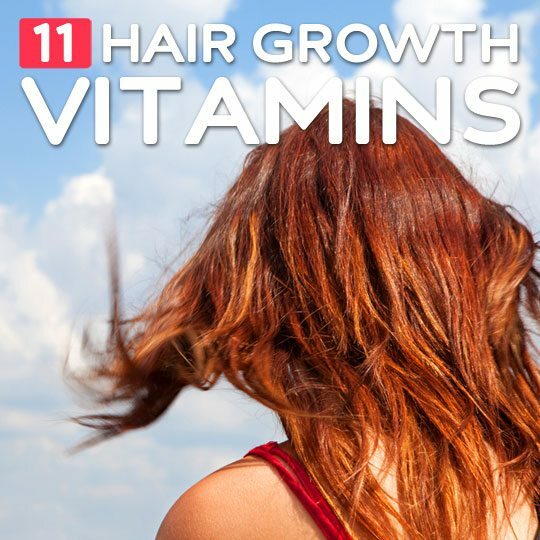 Thank you for the comprehensive list of essential vitamins for hair growth! I have been taking Biotin by itself and I thought that was enough to promote hair growth but now I know I need to add other vitamins to my diet of supplements! Is taking fish oil good for the hair too?? Hi everybody. My hair is very thin and started to fall. I bought some vitamins (A, C, E, B) from the drugstore and will include into my shampoo. Besides I am keeping an eye on my diet. To prevent excessive hair loss, it is important to determine the root cause of the disease. From experience and according to the scientific literature, hair loss can be caused by an autoimmune issue, digestive disorders, hormonal imbalances, increased intestinal permeability or adrenal fatigue. Instead of trying other products, I suggest you work with a healthcare professional who looks at the root cause of a health condition so that s/he can prepare an individualized treatment for you. I am keen to grow my hair but I wonder how this will be possible. I am glad that the Tips given here may help. I will appreciate more further guidance to regrew my hair …. You should try the Lady Soma Vitamin Hair Boost – I just used it for one month and its the best product for hair growth. I started to see results in the first week and just finished 1 month. My hair has been growing like crazy and has stopped falling out! The texture and thickness is incredible. I highly recommend it. Thanks for the informative and helpful post. When anyone started losing hair both men and women are searching for natural remedies. It because of natural vitamins has no side effects and there is no harm to follow a natural diet. And I’m one of them who are looking for natural ways.